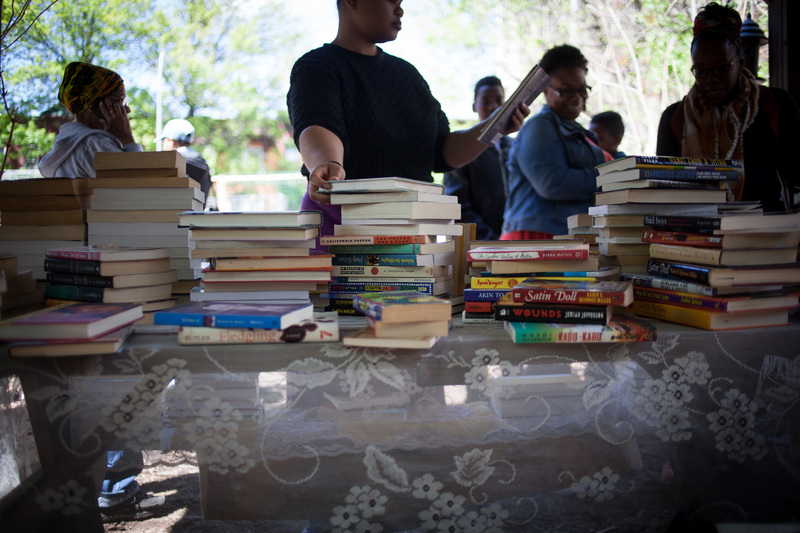 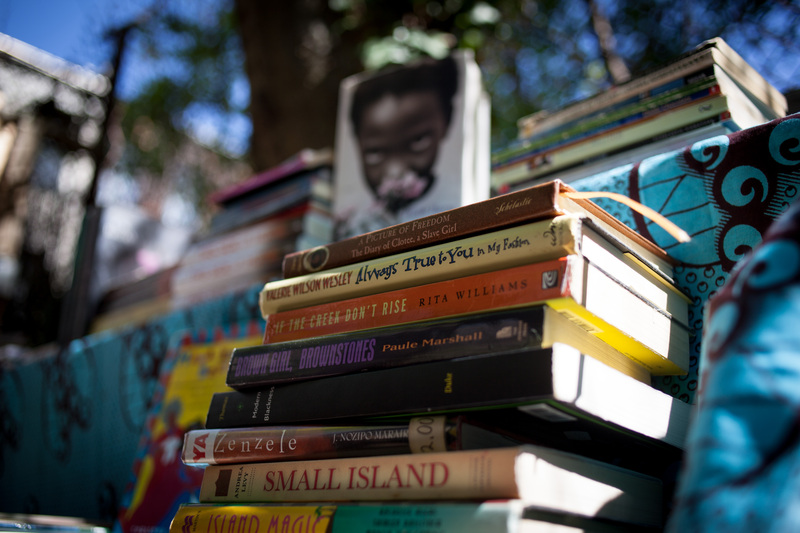 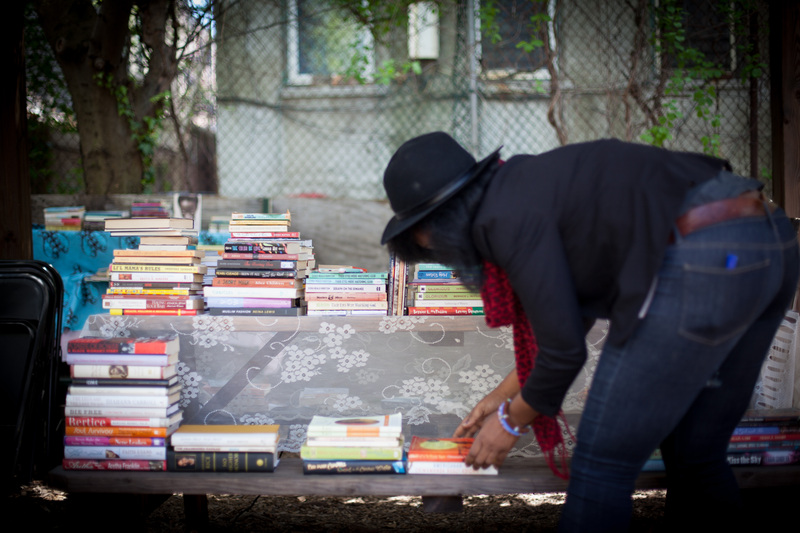 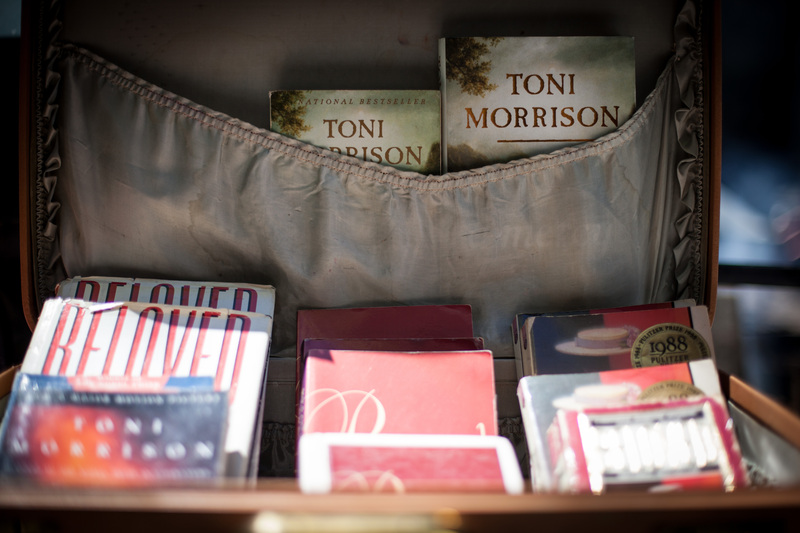 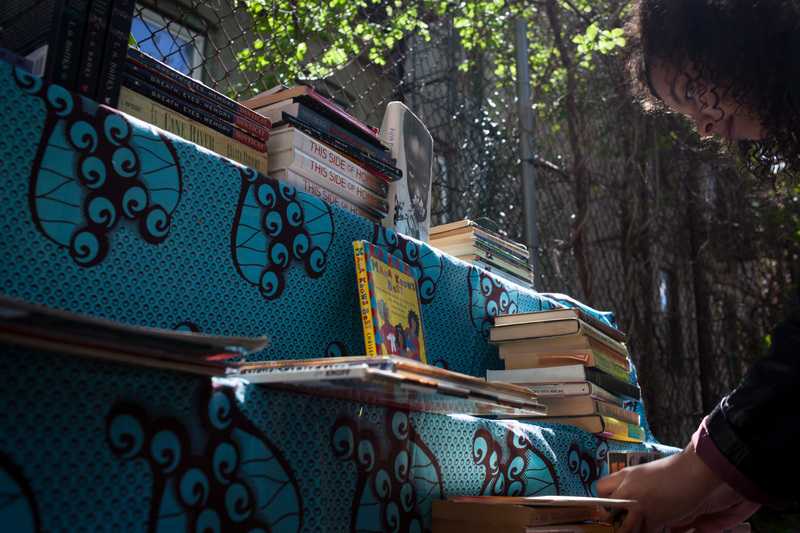 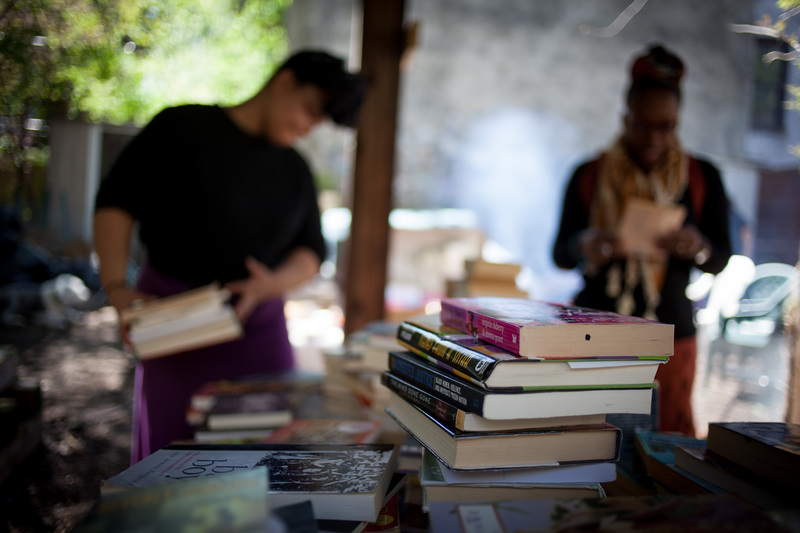 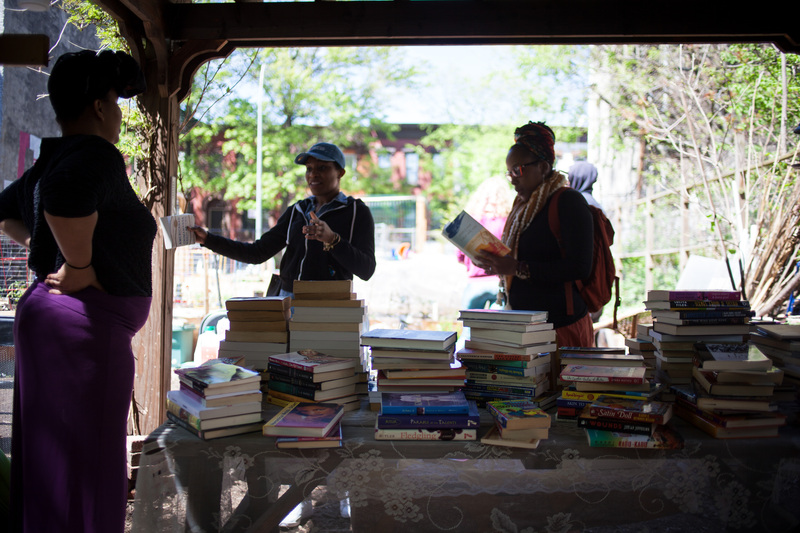 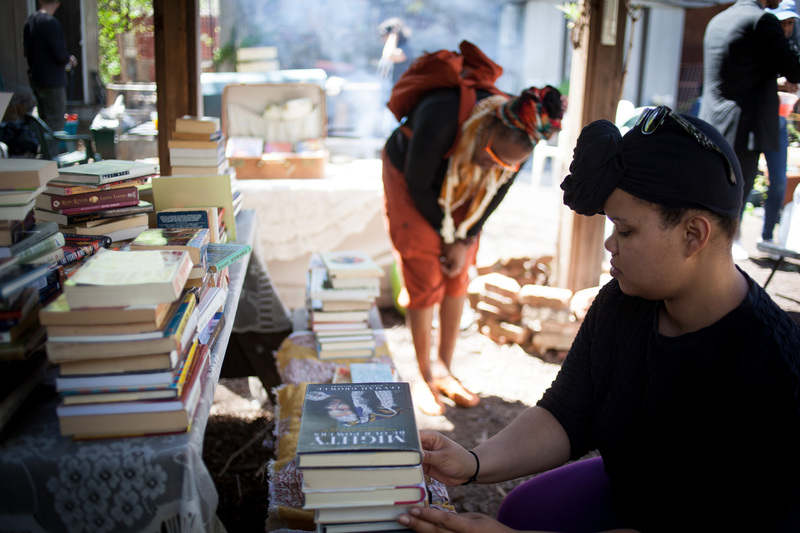 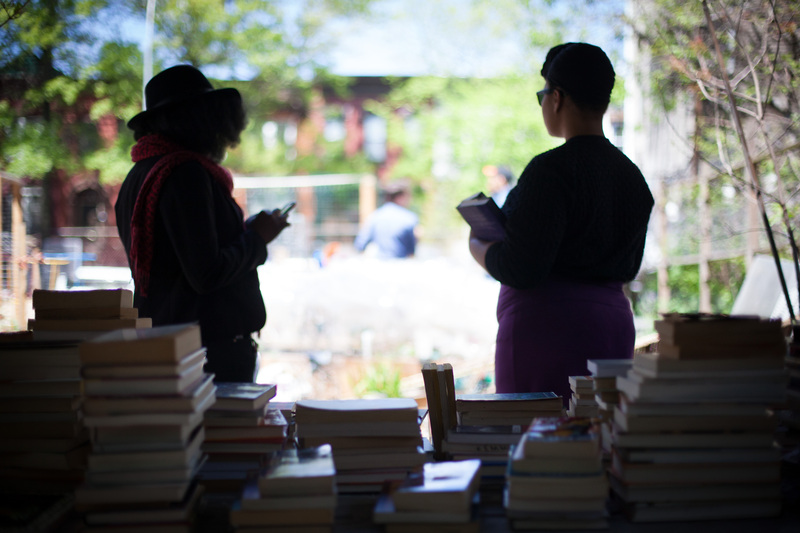 The Free Black Women’s Library is a mobile interactive pop up performative library that features over 300 books written by Black women. 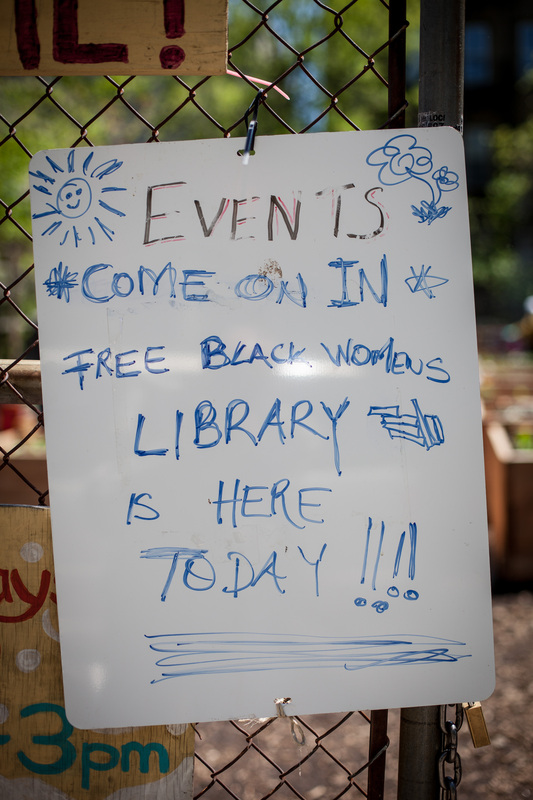 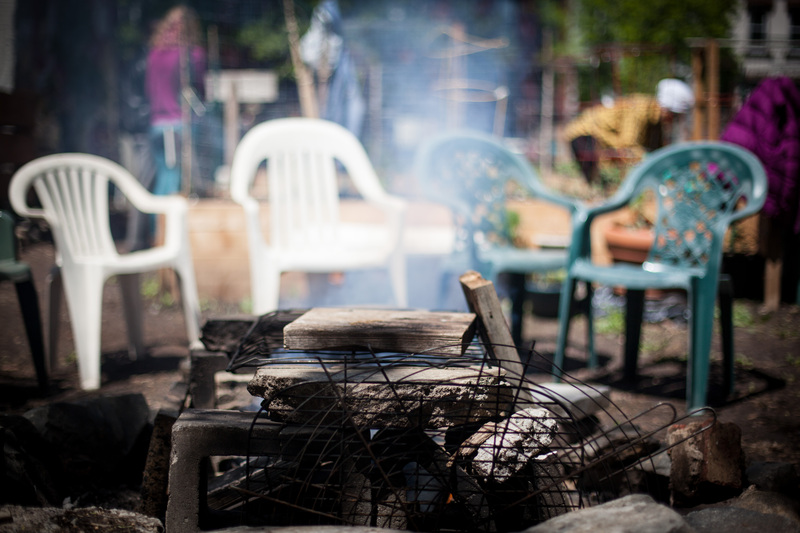 They were at 462 Halsey Community Garden this Mother’s Day. 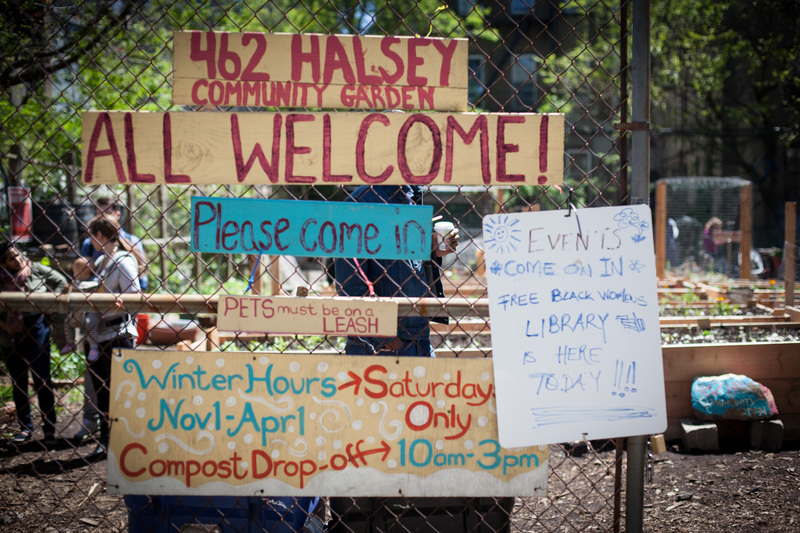 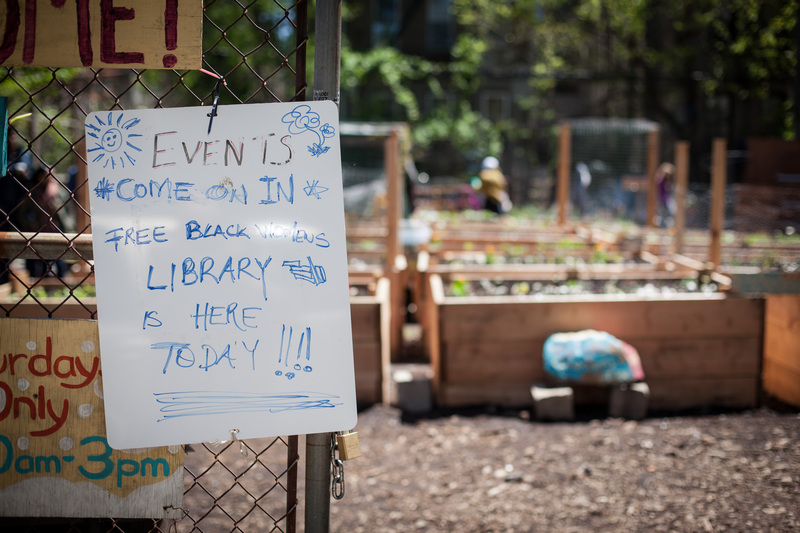 426 Halsey Community Garden in Bedford–Stuyvesant, Brooklyn was created from a vacant lot on public land by local residents with the help of 596 Acres. 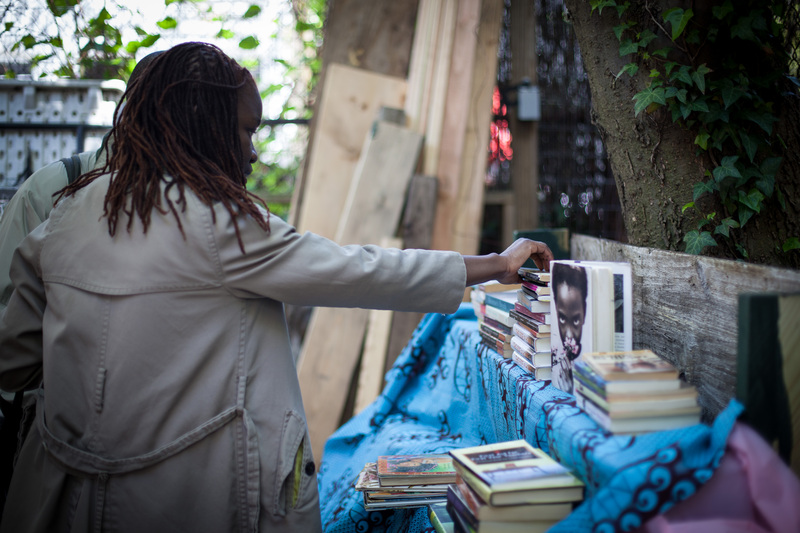 Photos by Murray Cox, Copyright 2016, all rights reserved.